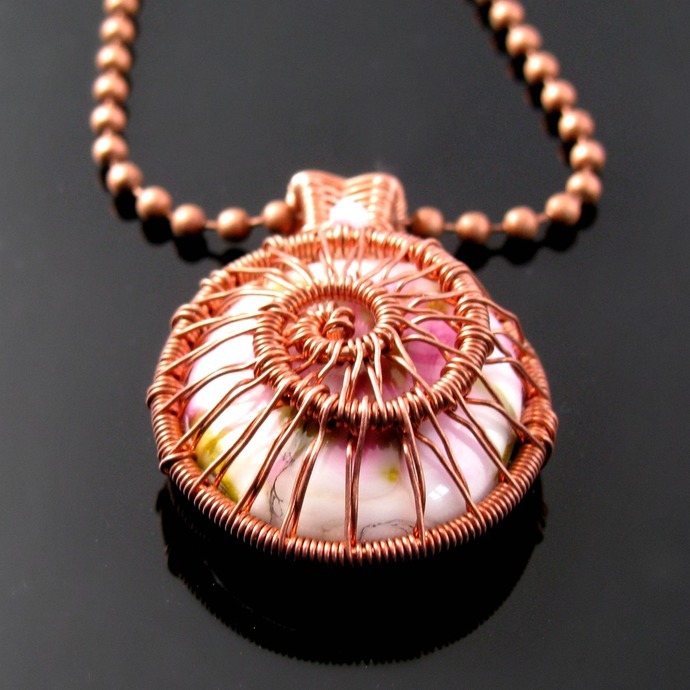 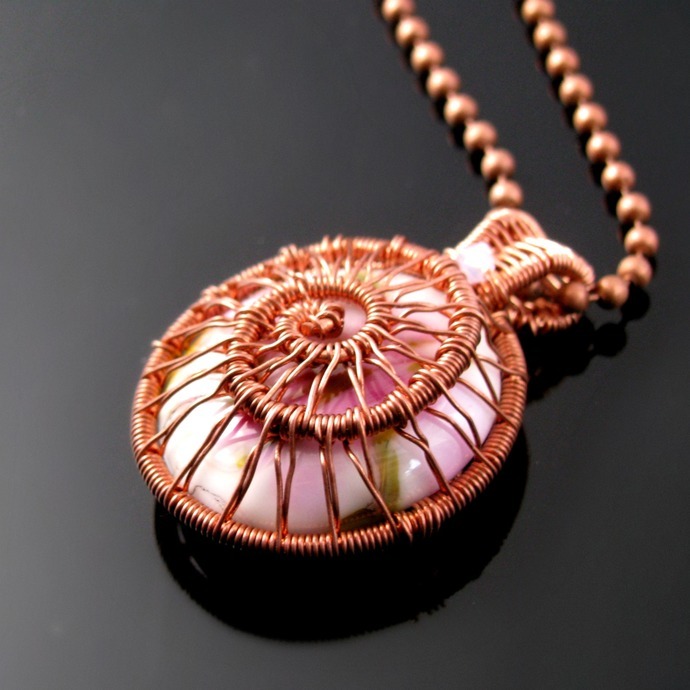 A beautiful glass cabochon by Deronda ONeill is caught in a spiral setting woven from copper wire which I left unoxidized, but which will take on a natural patina with time. 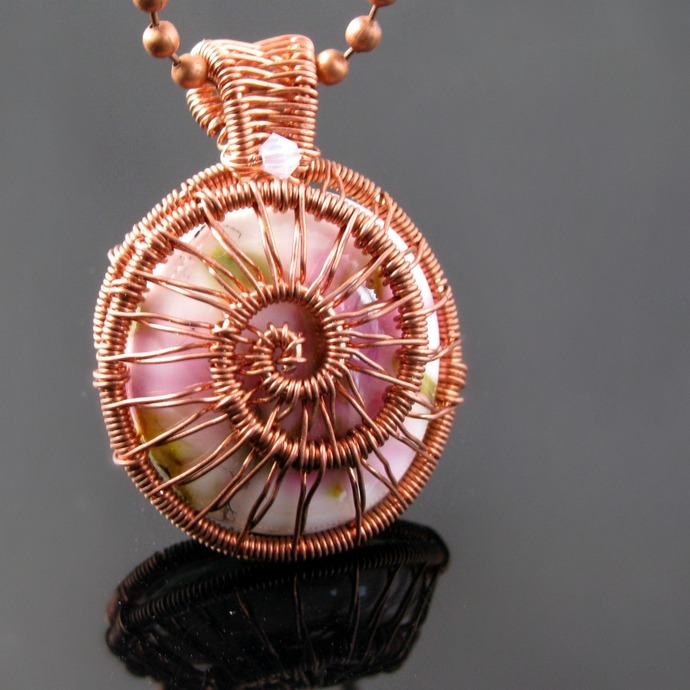 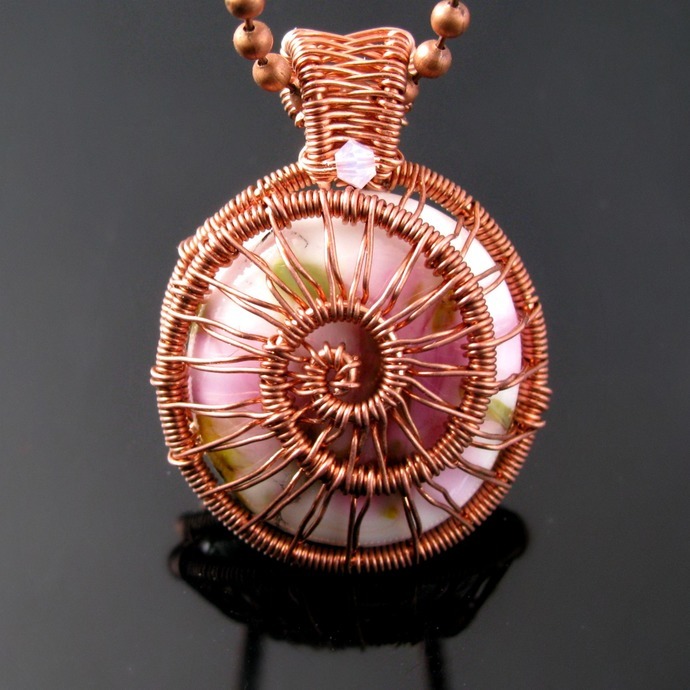 Fresh green and soft pink on a white background are peeking through the spiral and are complimented by a tiny pink Swarovski crystal sitting on the woven bail. 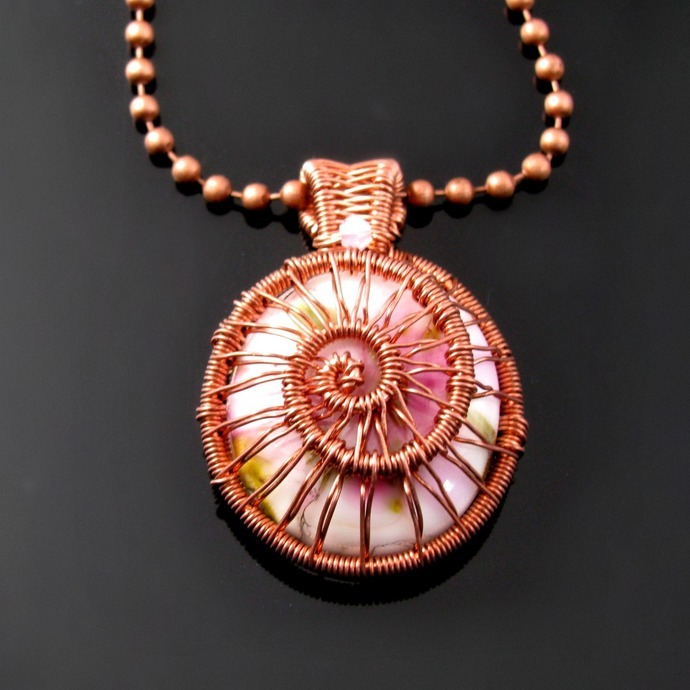 The pendant is 3.5 cm or 1 1/3 inch and comes on an antiqued copper chain of 45 cm or 17 3/4 inch.